We are a pre-school through 12th grade school that develops disciples who are spiritually and academically prepared to impact their world for Christ. More than 30 churches from throughout Northern Dauphin County are represented in the student body at NDCS. Bussing is provided from five area school districts: Halifax, Line Mountain, Millersburg, Upper Dauphin, and Williams Valley. It was the vision of several families in 1995 to establish a local, traditional classroom based alternative education program for Christian students. The Northern Dauphin County Christian School Association of parents was formed as the governing body and continues to elect the board of directors and works with the administrator of the school. 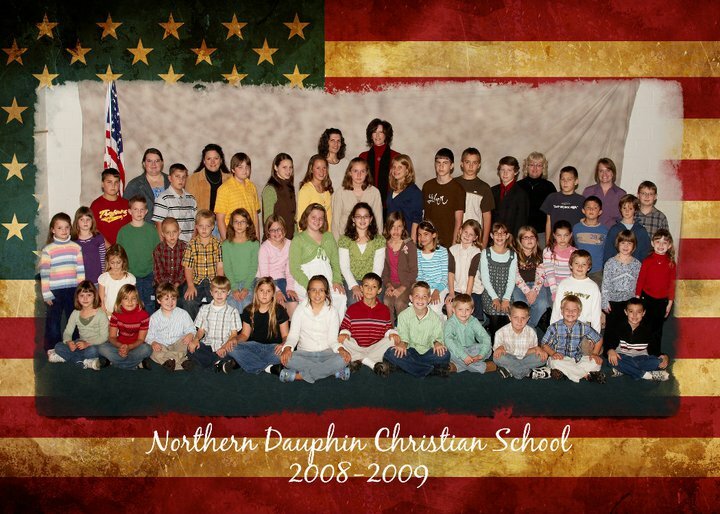 Northern Dauphin Christian School began with a kindergarten class of four students. The school expanded the following year to include kindergarten through fifth grade. NDCS has grown greatly since 1995 and now offers an Early Education Center for pre-school students, as well as a full day kindergarten through grade 12 program. Northern Dauphin Christian School utilizes a variety of curriculum for the grade levels Preschool and K through 12th. Supplemental material are used in areas of special interest: music, art, computer, physical education, library and weekly chapel services. See our page on curriculum for more details.